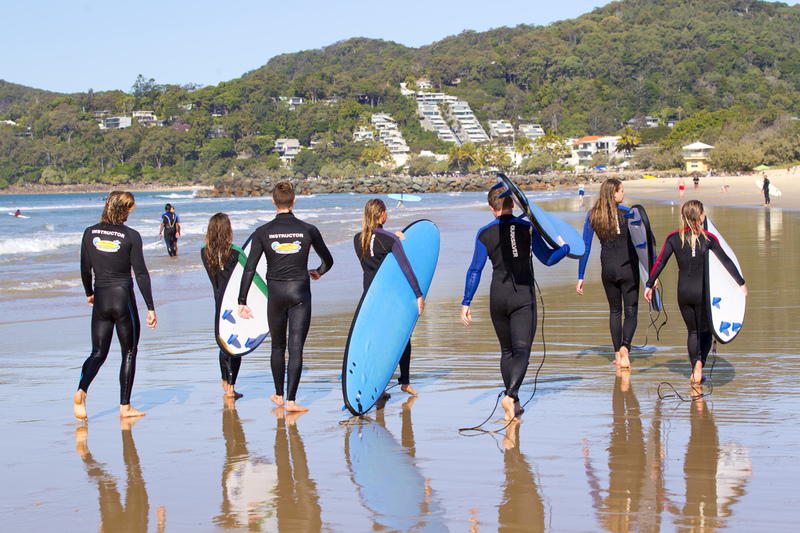 Our online Bookings program allows you to book and pay for surf lessons online with immediate confirmation. You can also make bookings at one of our trailers. We have a Hire trailer on the beach at Beach Access No 14. It is directly behind the lifeguard tower at the first rock wall. We also have our surf lesson trailer in the car park at beach Access No 11. You can meet the instructor at the trailer before or after each lesson. Most travel agents including Noosa Tourist Information Centre (Tourism Noosa) can make surf lesson bookings for you. 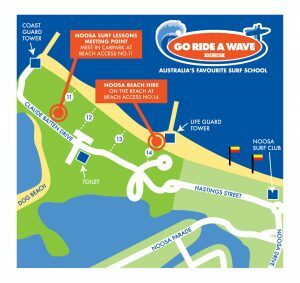 Noosa Heads is a fantastic place to learn to surf, conditions are ideal for beginners with warm water, a safe beach and a great surf school in Noosa – Noosa Surf Lessons! 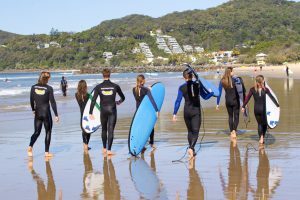 We offer beginner surf lessons, group lessons, private lessons and all beginner equipment you need to get surfing. Please try to book your surf lessons in advance if possible. Especially if you are trying to book during busy periods like school holidays. It can be difficult to fit extra students into lessons at the last minute. This is because we have a minimum required ratio of instructors to students – 1to7. It can be a challenge to find an extra instructor at the last minute.